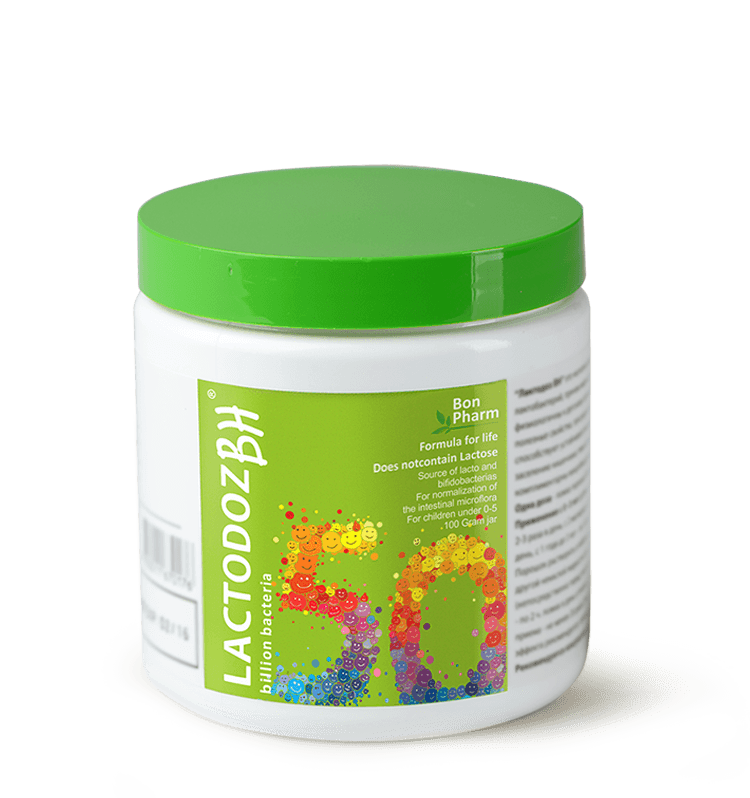 LACTODOZ NEO is a next-generation probiotic – a superior source of bifidobacteria and lactobacilli delivered via enterosorbent. LACTODOZ NEO is a next-generation probiotic with a vastly superior performance profile versus existing probiotics. a) LACTODOZ NEO provides superior bacterial performance. Traditional probiotics lose more than 90% of their active performance as they pass through the stomach. Not so with LACTODOZ NEO. It’s active strains of bifidobacteria and lactobacilli are immobilized on enterosorbent, which significantly improves the protection of bifidobacteria and lactobacilli as they pass through the stomach. As a result, there is far more beneficial bacterial biomass that reaches the stomach in active form. b) LACTODOZ NEO helps eliminate pathogens from the digestive system. Its immobilized bacterial biomass has a detoxifying effect that helps to eliminate toxins from the intestines, remove partially metabolized food waste, and pathogenic microbes. Normalizes the content and exchange of biologically active substances. To immobilize its bifidobacteria and lactobacilli, LACTODOZ NEO uses enterosorbent – an apple-based pectin. While enterosorbent has a high adsorption rate, it does not violate the water-salt balance in gastrointestinal tract. It is ideal for removing various toxins and heavy metal salts from the intestines. Have a known hypersensitivity to one or more of LACTODOZ NEO’s components. Have an acute ulcer in their gastrointestinal tract. As with all supplements, always sconsult your doctor before using LACTODOZ NEO. Children ages 4-12 years old: 1 capsule 1 time per day. Adults and children over 12 years old: 1 capsule 3 times per day. The minimum length of effective treatment is 20 days. WARNING! Do NOT take LACTODOZ NEO with hot drinks. As with all supplements, always consult your doctor before beginning a course of LACTODOZ NEO. 60 capsules of 820mg each. Store LACTODOZ NEO in a dark, dry place at a temperature ranging between 5°-25 °C. It is not necessary to keep LACTODOZ NEO in the refrigerator, although a refrigerator does provide a more controlled and optimized storage environment.